Kiawah Island fishing charters offer ample opportunities whether you are a novice or a seasoned pro. 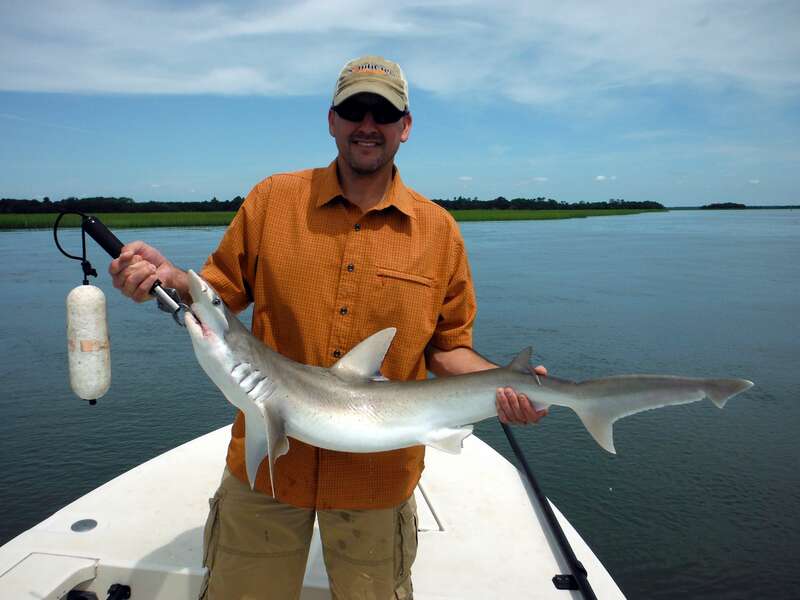 Redfish and trout are the traditional targets complimented by seasonal species like shark. The fishery is truly year round and Kiawah fishing by no means slows down in cooler weather. Fishing tactics change depending on conditions and clients will be well equipped with whatever tackle may be needed. In addition to the fish, bottlenose dolphins, birds and other wildlife are common sights on charters. Clients on our Seabrook and Kiawah Island fishing charters make an easy drive in the direction of downtown Charleston to meet us at the Wappoo Cut boat landing. Leaving from this landing allows us to fish in the Charleston harbor, Intercoastal waterway and three major rivers that surround the main pennisula. Combined with access to the Kiawah and Stono rivers, we will have no shortage of options.